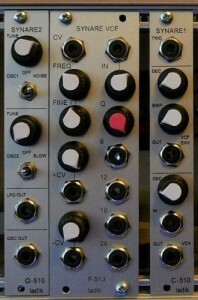 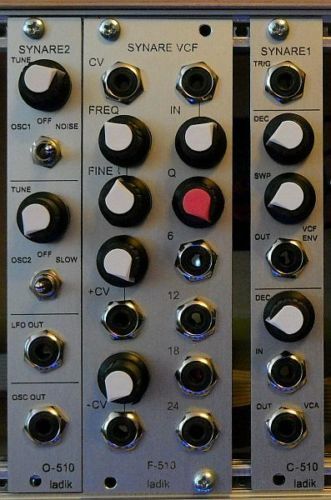 Ladik C-510 (part of Synare 3 set) in Eurorack format (4HP). 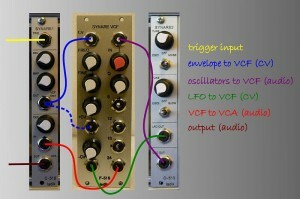 C-510 (Synare 1) = envelope generators + VCA. 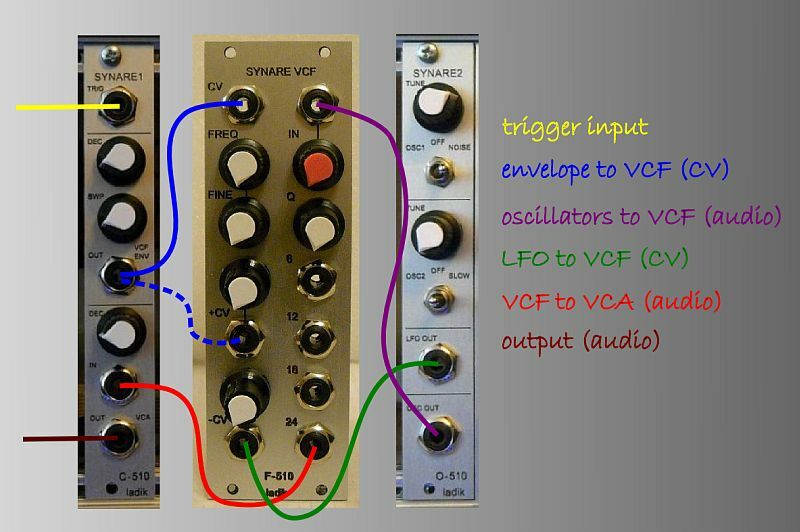 Can be used as 4HP solution only for selfresonating filter drums: ENV out for tuning (amount of falling pitch) + VCA (length/decay).